Let's toast and cheer all of those witches and goblins during most frightful time of year with these All Spirits Welcome Cups! 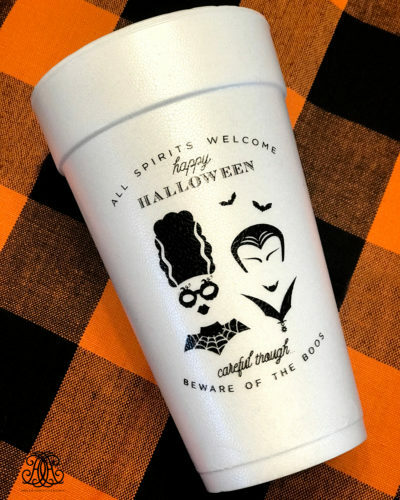 Style up any soiree, cocktail bar, or drink table with these halloween foam cups. Perfect as a gift too!